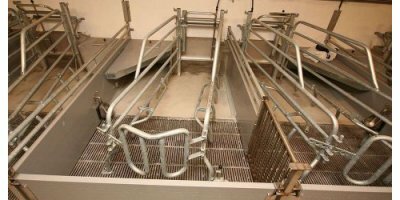 A flexible farrowing pen for the compact stable! The sow will move to a different stall after weaning and weaning. 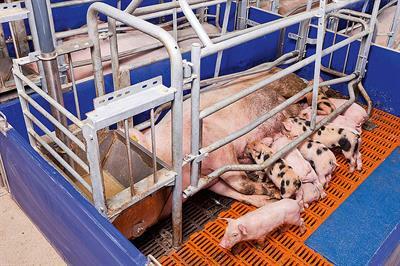 Piglets remain in their farrowing until they are approximately grown at 30 kilos. 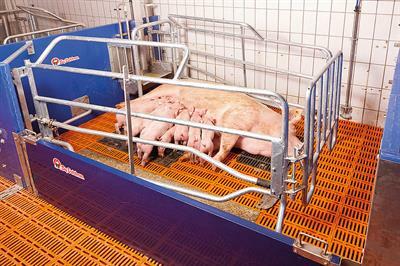 The sturdy and durable Porcon farrowing crate is known for its special anti-crush bar, which encourages the sow to lie in the most ideal position to avoid crushing the piglets. 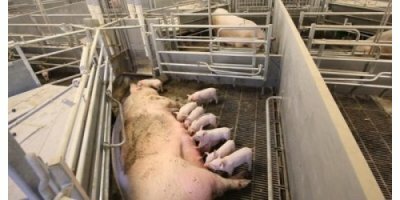 The piglets can reach the teats unhindered immediately after birth, so they can drink the vital first milk straight away. By Fancom BV based in Panningen, NETHERLANDS. There are four positions of the width of box back side 598/648/698/748mm. The length of the box inside without a feedbox is not regulated and is 2014mm. Overturning feedbox with 14liters capacity. Safety and separating bows. 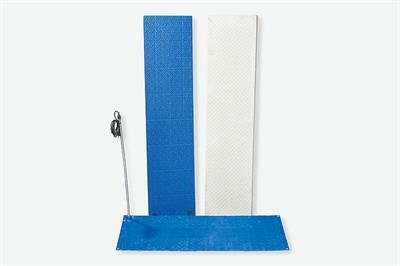 There are five positions of the width of box back side 492/530/575/613/658 mm. 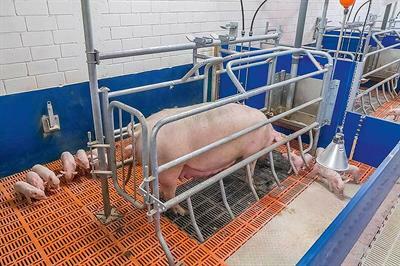 The length of the box without a feedbox is regulated depending on a sow size (1742…1906 mm). Safety bows. Possibility to regulate the height of the separating bows. 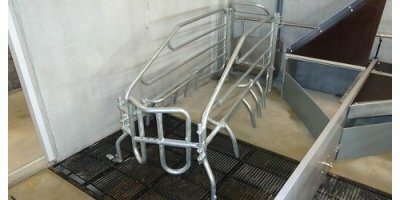 The brackets have different height: H 500, 600 for a farrow area; H 750, 800 for a nursery site; H 1000 for a fattening area and single and sows in farrow. 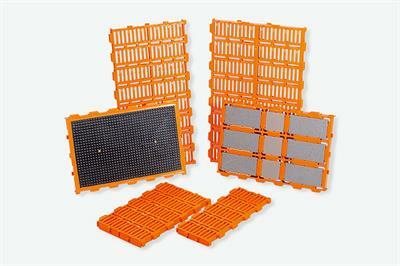 By QINGDAO XINFENGCHEN LIVESTOCK EQUIPMENT based in Qingdao, CHINA. There are three positions of the width of box back side 579/628/679mm. The length of the box inside to a feedbox is regulated from 1521 to 1747mm. Overturning feedbox with 14liters capacity. Safety and separating bows. There are three positions of the width of box back side 579/628/679mm. 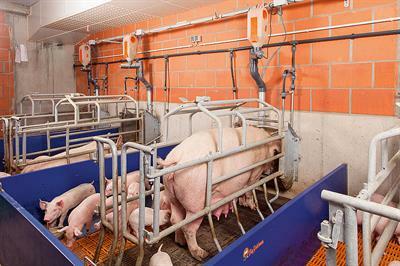 The length of the box inside without a feedbox is regulated depending on a sow size (1708…1933mm). Overturning feedbox with 14liters capacity. Safety bows.